These Lumber Storage Racks were designed and built to hold different species of lumber. Each individual rack was made from construction-grade 2x6's and has black 1" pipe secured to the 2x6 with metal plates. To add strength support, each individual rack was directly secured to an existing 2x4 in the shop wall. There are several of these Lumber Storage Racks mounted on various shop walls. 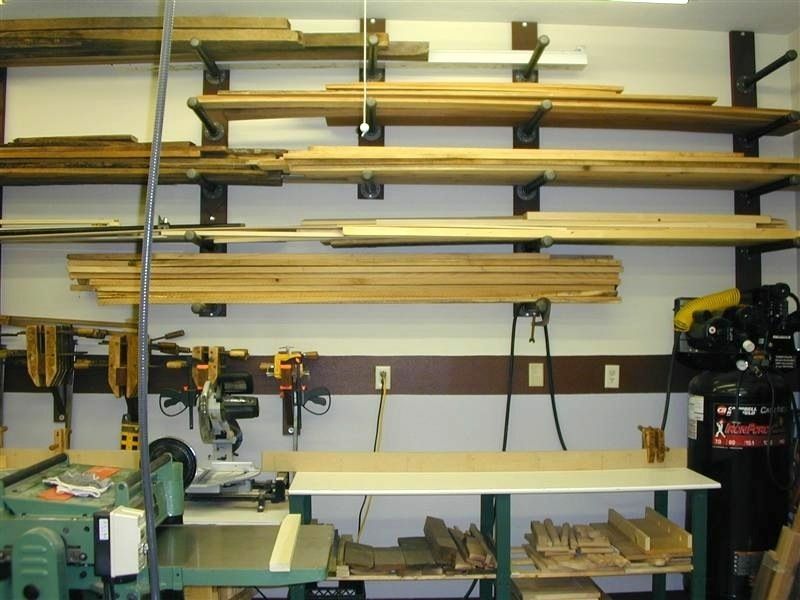 The Lumber Storage Rack pictured here was mounted just over the Cut-Off Saw Table, making it easy to access the lumber.